As International Properties Group continues growth in the Hudson Valley, the company’s latest assignment includes two churches from the 1800s. Located in Wurtsboro, New York, the churches have attracted a flow in interested buyers since hitting the market in January. “We’ve hosted showings for architects, other church delegates, and potential buyers that are drawn to the historical aspects of the properties,” said Kendall Kless, of International Properties Group. Her colleague, Kristine Scheufele has also overseen several showings of the churches. “With Sullivan County being only 90 minutes from New York City, we’re seeing people come from all over the Greater New York Area to view these structures,” Scheufele said. 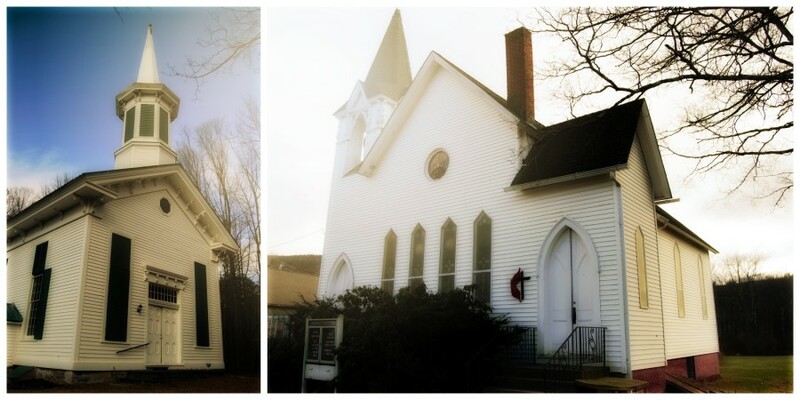 The larger of the two churches is located at 663 Red Hill Road, and listed at $120,000. Possessing clear “float” glass windows, the historical structure has basement foundation walls that are 3.5 feet deep, and a balcony. A former one-room schoolhouse sits on a lot adjacent to the church property, with an old stone wall defining the two lots.